Your smile is the first thing people notice about you. Cosmetic dental procedures by our Hayward dentists at Southland Dental Care can brighten, whiten, and straighten teeth so you can smile with confidence. Whether you have stained, discolored teeth, or a crowded smile, our cosmetic dental services, paired with preventive care, can create healthy, beautiful smiles. Dental Bonding – Composite resin is a cosmetic alternative to amalgam fillings and improves appearance of teeth as well. If you find that your teeth are misshapen or stained, dental bonding can enhance the cosmetic look of your smile by acting as resin veneers. Teeth Whitening – Utilizing the Zoom! 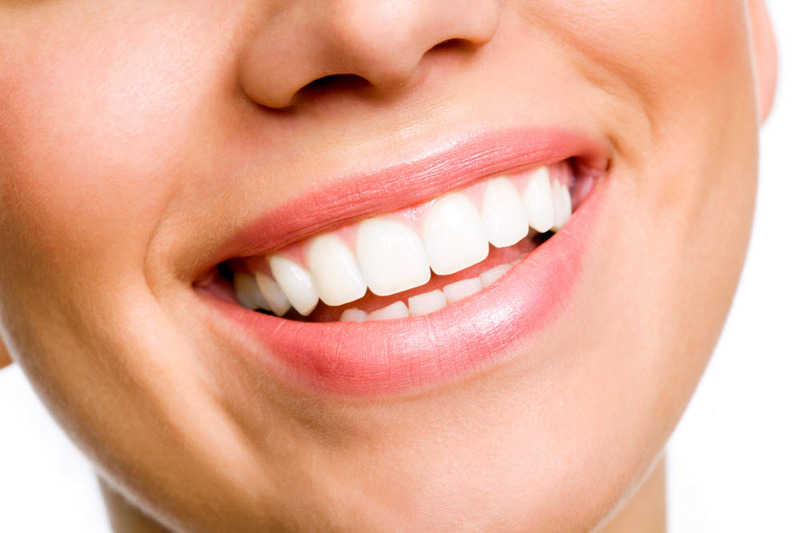 teeth whitening system, discolored, stained dental enamel is brightened in our office. At our Hayward dental practice, we offer additional other forms of teeth whitening such as Crest® Teeth Whitening strips, and customized take home whitening trays for dentist supervised at-home cosmetic treatment. CEREC Crowns – Whether you need to cap a treated tooth, or need a restoration for your dental implant, we have a CEREC machine for in-office milling of all-porcelain crowns. Porcelain crowns have the same natural sheen and feel as your real teeth, and are customized to fit perfectly into your smile. Porcelain Veneers – With this procedure, wafer thin sheets of porcelain are bonded and cover certain tooth. Veneers cover unsightly teeth that are tipped, whiten tetracycline stains or decalcification, and fill gaps that you’re not happy with. Invisalign®– Patients who have minor misaligned bites, crowded smiles, or gaps between their teeth can find that nearly invisible align trays can inconspicuously straighten your smile. Invisalign® custom clear align trays are conveniently removable and allow you to straighten your smile without major change to your daily routine. At Southland Dental Care, we create individualized treatment plans that address the oral health and aesthetics of your smile. Your goals are our goals, and we aim to meet them comprehensive plans that combine cosmetic dental procedures as well as preventive care. For more extensive cosmetic and functional restorations, patients can turn to our office for dental implants to replace missing teeth lost from advanced periodontal disease or injury. Paired with our excellent restorations, such as porcelain crowns and bridges made with CEREC, our team can customize your treatment to meet the exact shade and appearance of your dream smile. If you’re looking to enhance the appearance of your smile, contact Southland Dental Care today for more information about our various cosmetic dental procedures. Drs. Charles T. Giang and John J. Muzio, and the team at our Hayward dental practice, welcome you to view our smile gallery to see results created some of our services.